Rowlett real estate is a scenic lakeside community conveniently located 20 minutes outside of downtown Dallas north of Interstate 30. Tranquilly centered against picturesque Lake Ray Hubbard, Rowlett homes serve as a comfortable bedroom community for numerous people who commute to the Dallas-Fort Worth- Metroplex. Linked by the recently expanded President George Bush Turnpike Eastern extension and DART Blue Line, Rowlett has prime opportunity for economic growth. Rowlett real estate uniquely sits against over 20 miles of lake shoreline. This provides a premier living experience for those preferring a more quiet, upscale safe environment with local crime rate 42% below the national average. 55,000 citizens call Rowlett home, earning a median income of just over $100,000. Striving to preserve its natural beauty Rowlett commits to annual environmental programs, including being Nationally recognized as a Tree City USA for 11 years and counting. 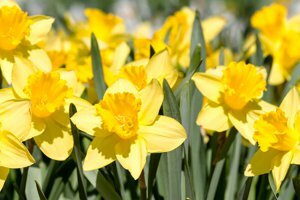 The Daffodil Project, a national tribute to first responders of 9/11, plants more than 5,000 daffodils throughout the cities' parks, fire stations and police stations annually. Appealing to residents of all Rowlett offers limitless Lakeside activities and local recreation programs abound. Golfers enjoy Waterview Championship Golf Course. Wetzone Water Park offers delightful seasonal fun and local employment. Rowlett real estate offers a retreat like environment to call home for commuters, retirees and young families alike.